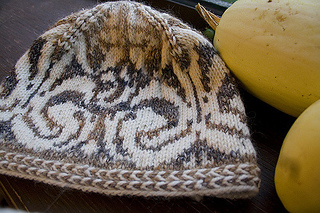 Chart is worked three times over each row of the hat pattern. 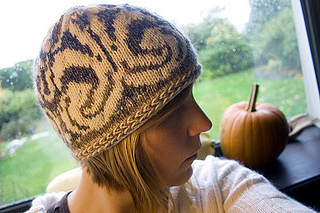 Inspired by Sheila Macdonald’s Inga Hat. Finished hat measures 21.5 inches around.